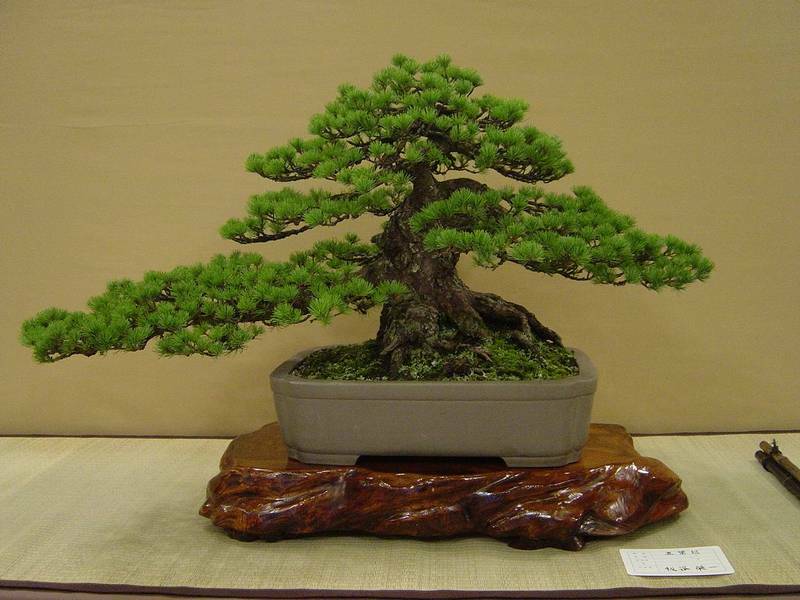 A bonsai (盆栽) is a tree grown in a pot, whose care and ability to make the desired shape and size has become a real art. Although people usually link bonsai to Japan, the origin of bonsai technique is not in Japan, but in China, where the first traces date back to the Han Dynasty (206 BC-210 AD). The bonsai arrives in Japan many centuries later, around the eleventh or twelfth century by Buddhist monks. In Japan, the art of bonsai will evolve, becoming an art of thinking and meditation deeply related to Zen philosophy. In addition to the monasteries, the bonsai in Japan also began to spread among the aristocracy, owning a bonsai to be exhibited was in fact a source of great prestige. During the Universal Exhibition of 1878 in Paris and 1910 in London, bonsai were "revealed" to the Western world by Japan, and today they are now spread all over the world. In Saitama, a big city just a few minutes by train from Tokyo, specifically in the neighborhood of Omiya, there is a district where there are many important bonsai nurseries and even a museum that displays many examples of wonderful bonsai. You can find more information in the Saitama travel guide.